The History of Fashion Journalism is a uniquely comprehensive study of the development of the industry from its origins to the present day and professionals', such as Anna Wintour, vision of the future. Covering everything from early tailor's catalogues through to contemporary publications such as LOVE, together with blogs like The Sartorialist and handbag.com, and countries from Russia through to The United States, The History of Fashion Journalism explores the origins and influence of such well-known magazines as Nova, Vogue and Glamour. 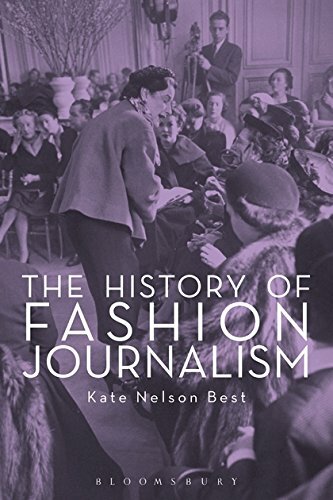 Combining an overview of the key moments in fashion journalism history with close textual analysis, Kate Nelson Best brings to life the evolving face of the fashion media and its relationship with the fashion industry, gender and national politics and consumer culture. This accessible and highly engaging book will be an invaluable resource not only for Fashion Studies students but also for those in Media Studies, Cultural Studies and Gender Studies.